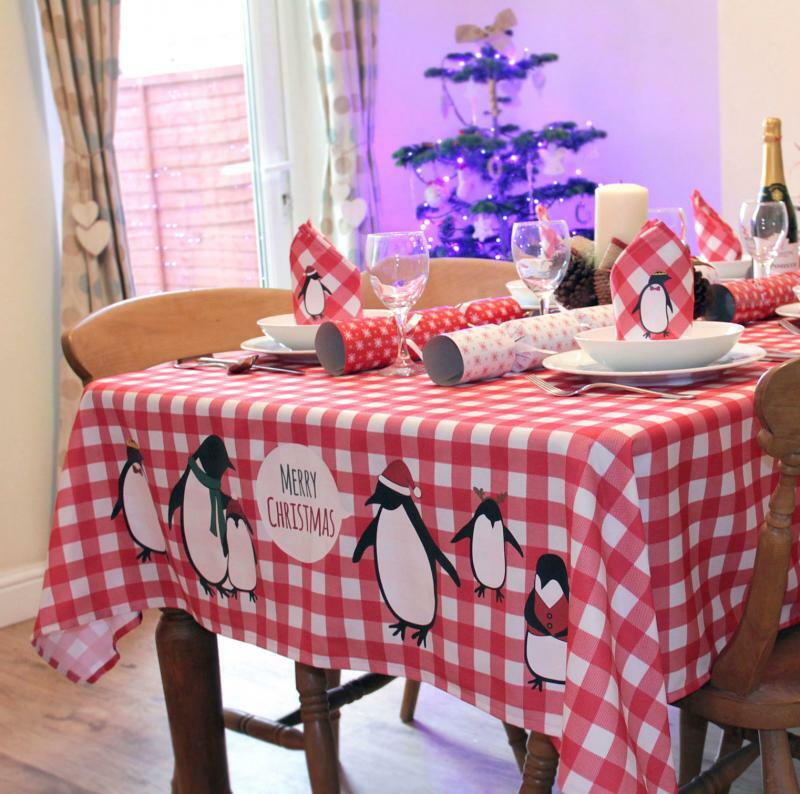 Add an extra special touch to your Christmas dinner this year with our printed christmas tablecloth and matching napkins. 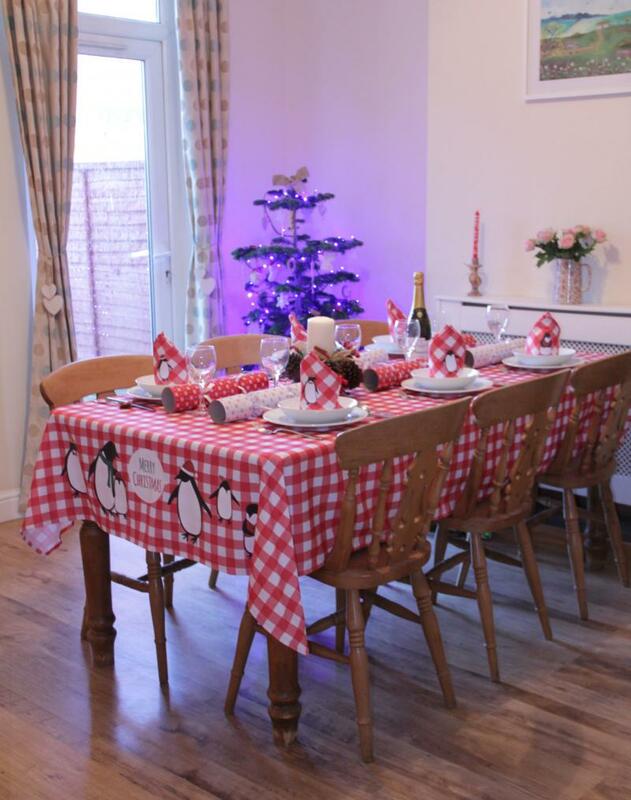 To select the correct tablecloth size please measure your table and allow (at least) an additional 25 cm on all sides for the overhang. Our tablecloths and napkins are 100% spun polyester, so have a nice soft feel, but the added easy-care properties of polyester. 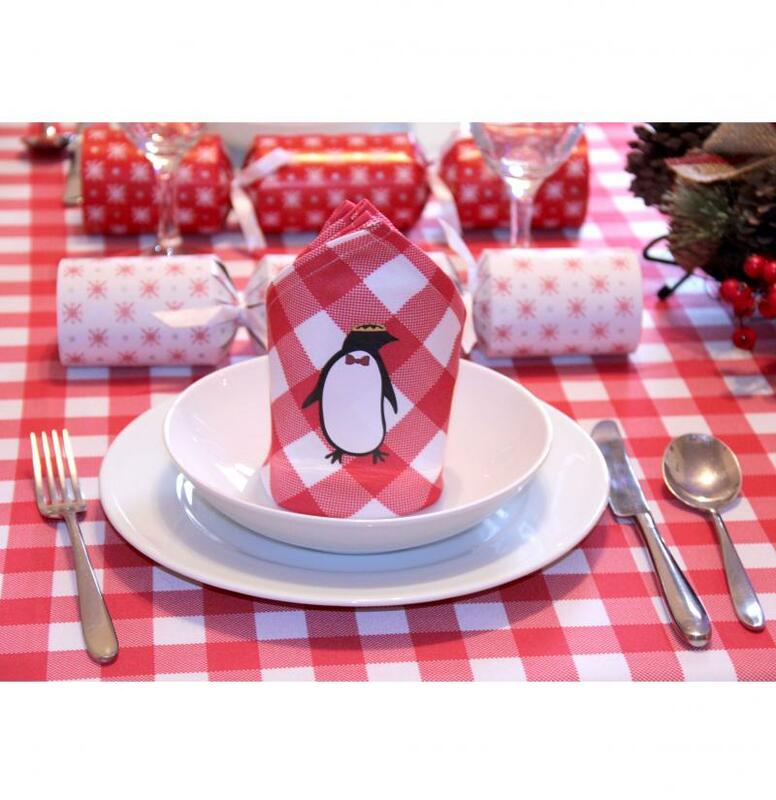 Napkins are available in packs of 4, 6, 8, 10 and 12 they are the perfect finishing touch to a christmas table spread. 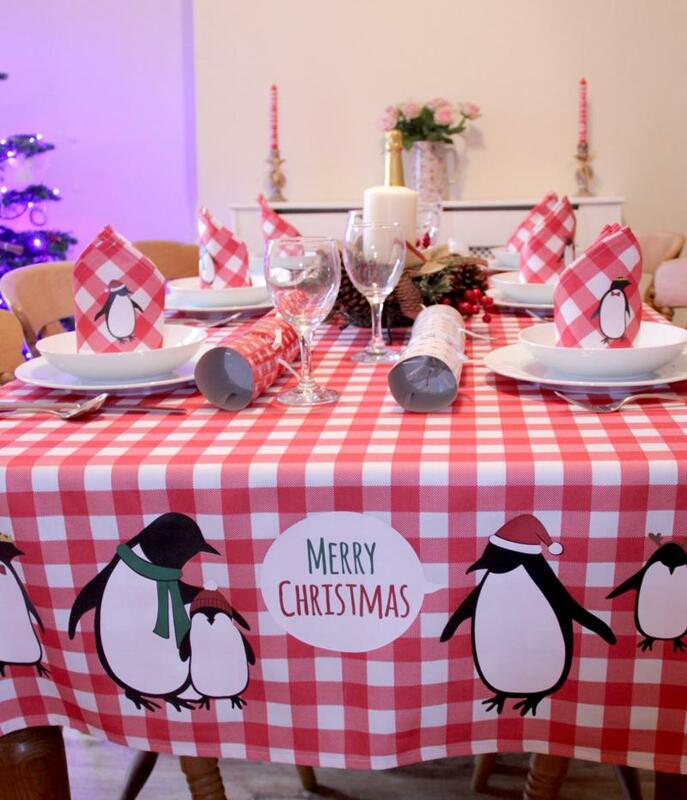 All of our tablecloth products are made and printed in house using the latest printing technology and the highest quality inks.